Leya-Danka is by the great Lord Leatherdale who proves to be a great dressage producer. His son Dolman with rider Jordi Domingo Col (ESP) is aiming for the team place for the Europeans later this year in Rotterdam. 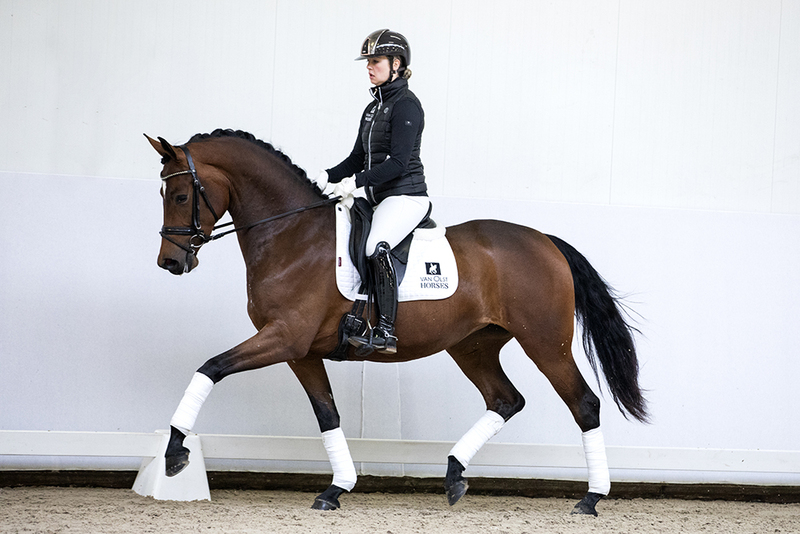 Leya-Danka is a full-sister to Graaf Leatherdale, upcoming Grand Prix horse with Anne van Olst (DEN). Leya-Danka is a “ster” mare with 80 points for her movements. 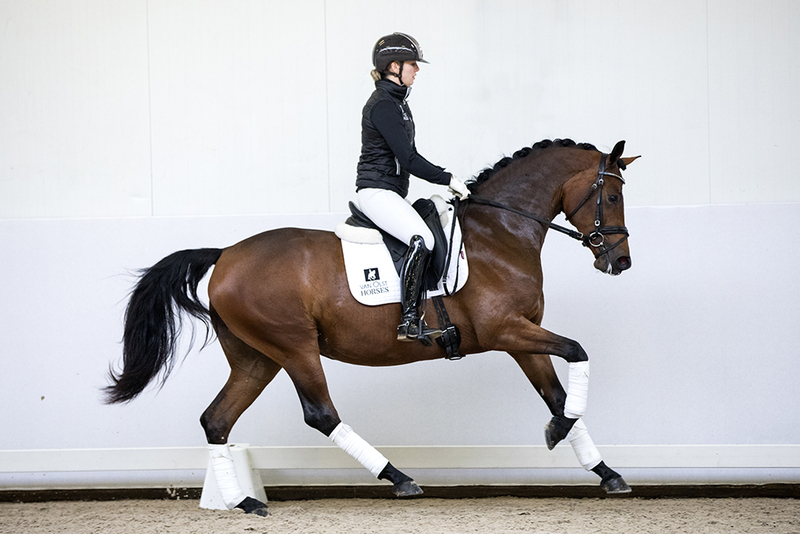 Her dam line produced a lot of outstanding dressage horse such as, for example; Avignon T (by United) with Katie Robicheaux (USA), and Grand Prix horse Joeri T (by El Corona).